Ever wonder about where your family comes from and how that place makes you feel? New York filmmaker Francesco Paciocco did, and the result is a short documentary – Birthplace – about his ancestral home. Importantly, it addresses the importance of where our families come from and what it means to us. No matter what background we come from, who our parents are or where we currently live, we only have one birthplace. No matter where we live, our race, color or creed, we all have roots somewhere. History progresses, societies evolve, and people shift location. Origins, however, remain the same. Past generations of our families crossed mountains and oceans to find better lives. But Paciocco asks how they felt about their choices, and what impact it left on future generations who today have only stories and old photographs to look through. As family historians, we all have these stories about our ancestors who decided to leave their birthplace and go somewhere else. “Many lives shifted, some for the worse and some for the better,” he says, of the people who went from Europe to America, Asia to Scandinavia, Africa to South America. As the immigrants relocated, new generations were created of those mixing of cultures, in what we call the immigration “melting pot.” It didn’t just happen in the US, but was and is a global phenomenon. His project – Birthplace – is a short film that examines the concept of the special place we all cling to – that geographical location our ancestors come from. Whether it’s the small countryside town nestled in the hills of Bavaria or a bustling cityscape in urban China, we all come from someplace and our identity is shaped, in one way or another, by this place and its essence. But why the town of Vacri? Paciocco says it is a microcosm for emigration and the search for personal identity. 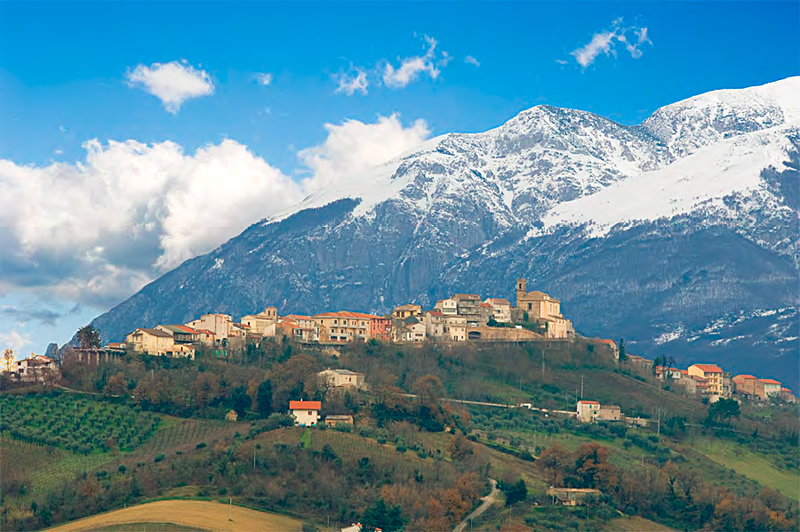 Perched on top of a hill overlooking the countryside, some 1,500 people live there between the mountains of the Abruzzi region and the Adriatic Sea. Vacri was traditionally a farmer’s town of merchants and many of its inhabitants left the town from the beginning of the century to the present day, going to places like Venezuela, Australia and the United States. As a result, across the world, there are pockets of Vacri’s inhabitants and their children (Vacresi) who still cling to their homeland and the memories of their past life or that of their parents or grandparents. Although Paciocco was born New York, his Vacri-born father came to the US when he was 18. His mother’s family was also from Italy – Naples and Sicily. Importantly, his father’s parents lived in their home, and taught the children the Vacrese dialect and recounted old country stories. Paciocco visited the town a few times as he grew up and became fascinated by its history and the stories of those who left, but the idea of making a film came later. It seemed like a foreign world that I would hear about in America and I developed a strong connection to the town when I managed to visit over the years. What Paciocco likes most about the film – besides its personal aspects – is its universal theme. I believe the fact that the film was made in Italy is ancillary—we all have that place of our origins inside of us and while it’s different for everybody, the theme remains the same. Read more about the film and visit Francesco’s Facebook page for further details. You can also contact Francesco. We thank Francesco Paciocco for sharing his story and his ancestral town with us. 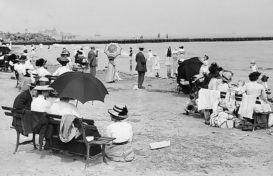 Did you enjoy reading about Vacri? How do you feel about your ancestral towns? Let us know in the comments below. My home town was just north of Sydney called Manly. History says when the British came to settle here and saw the local natives they thought they looked “Manly” hence the name. We have lived in many states and towns since I was born but Manly means innocent childhood, being surrounded by family, picnics at the beach and swimming,great happiness and lots of love. With my Family Tree I have tried to explain my childhood to my children,grandchildren and great grand children. Hopefully they get to have a wonderful childhood too. One great-great grandfather came from Ireland with his Scot and Irish blood . . . hopped on a whaling ship and married a native Hawaiian and stayed on the island of Moloka’i. Another great-great grandfather came from Malaysia. Many others came from England . . I would love to have been able to read their journals. I am a product of many nations and love it. It’s fun to see the different color of skin and hair and eyes in my descendants. Some of my children have my father’s thumbs! I love family, they are wonderful and I love knowing where I come from. I feel happy for you friends who were born in developed world whose history was earlier developed. I am an African (Ugandan)where writing, reading and simple arithmetic reached just yesterday in 1887, only because of good leadership of Late sir Muteesa 1 the king of Buganda, through the royal geographical society with permission of the queen and process of Captain F Lugard. Much of our geneorology is oral and never lived for many years. we find our selves unable to trace roots back. even to 1800s. much as some lived in palaces of kings, less is known about them.